Still on track for March? We are receiving prototype of the Meteorite next week. A more precise delivery date will only be possible to tell after Chinese New Year as factory is closed until mid February. Cases are now ready as well as dials, hands, bracelets. Just waiting for the ceramic inserts to be finalized so that assembly can start. Out of curiosity, what number of each color combination is being produced and what is the total number for the production run? Looking forward to the next update! Just a thought but if it gets to be after March 29th delivery it would possibly be under WTO rules to import it to the UK! To celebrate our 10 years anniversary we are going to launch the Prometheus Eagle Ray. 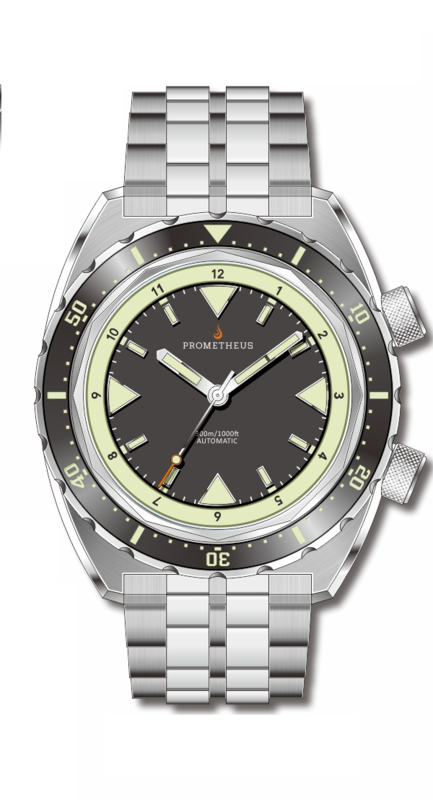 A synthesis of the most iconic diver watches made by Prometheus in the past decade. Any updates on the Meterite version please? Production is ongoing with rest of the Eagle Rays. The ceramic inserts should be ready around March 11th and then assembly can start. Goddammit. This is the VERY picture I have been expected (since I pre-ordered a piece). Got more of this Meteorite beautiful dial? It looks tremendous! I'm glad my name is on the list for one. Yes, I know is sold. And my name is on the orders list Glad to see the first real picture of this Meteorite version. Situation has not changed much. Assembly is ongoing. First step is to assemble dials and hands into movements. After that casing will start. Just paid my second 50%! Can’t wait to try this beauty!! The Meteorite version is on its way to me already. Just in time for my birthday. Carlos, this is my first purchase. Don't disappoint me. 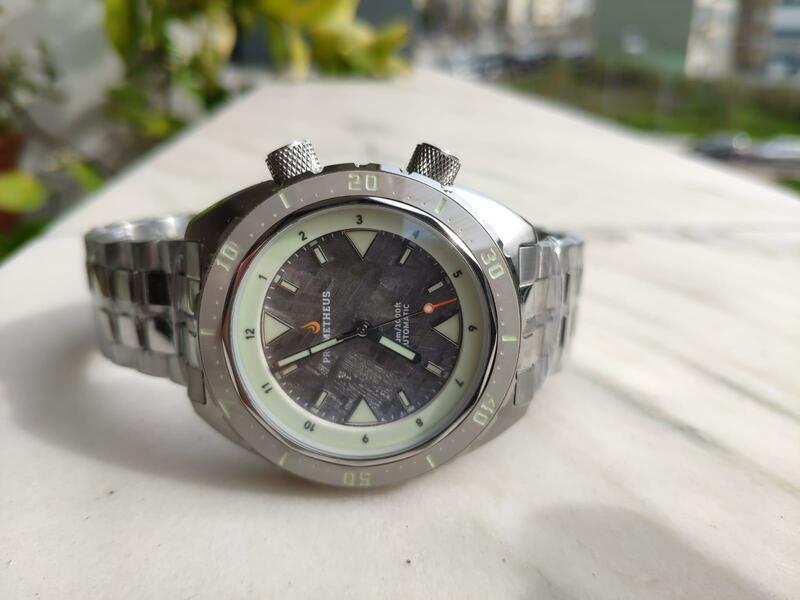 Carlos - This is a awesome time piece and super balanced!! Once again took it to another level my friend...Buttah on the wrist! !